Up early, todays visit was the reason I was coming to Denmark. I wanted to see a large-scale, intensive Danish pig farm. 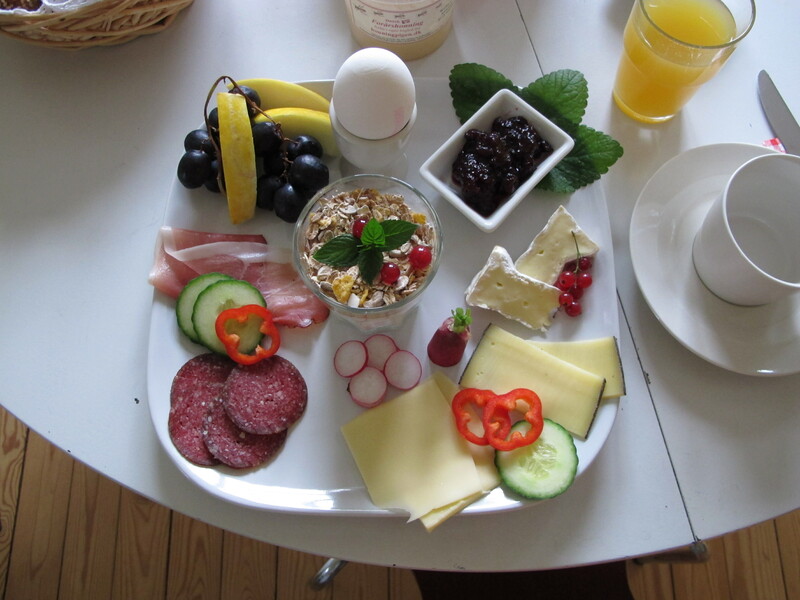 I had the most incredible breakfast at my B&B to start the day, and I was ready to leave at 7:30 Then came the call; my guide for the day had been taken ill and he would have to wait for the office to open to see if he could find a replacement to take me. Getting into one of these farms has proven tricky for me, only last week some leads I’d made with one of the largest Danish producers had fallen flat and I thought then that I wouldn’t get to see any of them. 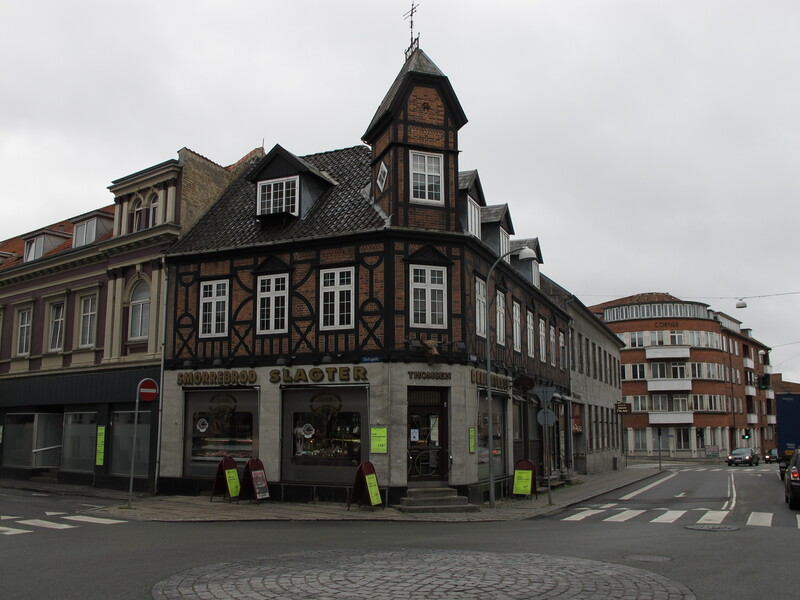 With time to kill I made my way to the town of Slagelse, the largest shopping centre in the region for a wander. Some unplanned free time came in handy, I needed fuel, and like a stupid tourist abroad I struggled with the automated pumps until a kindly lady pointed out to me that they didn’t accept debit cards, only credit cards or cash. 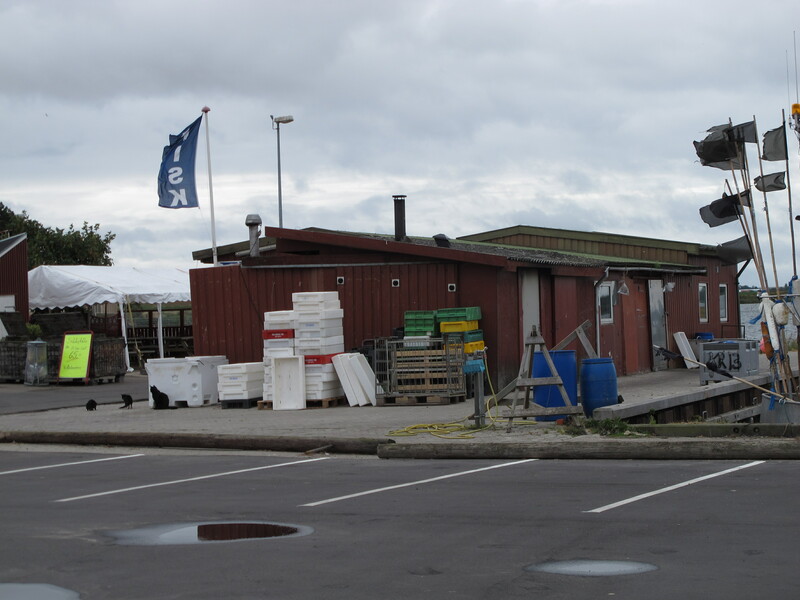 I found a parking spot in one of the main squares in Slagelse and even though it was early you’re pretty much guaranteed that bakers and butchers will be open. 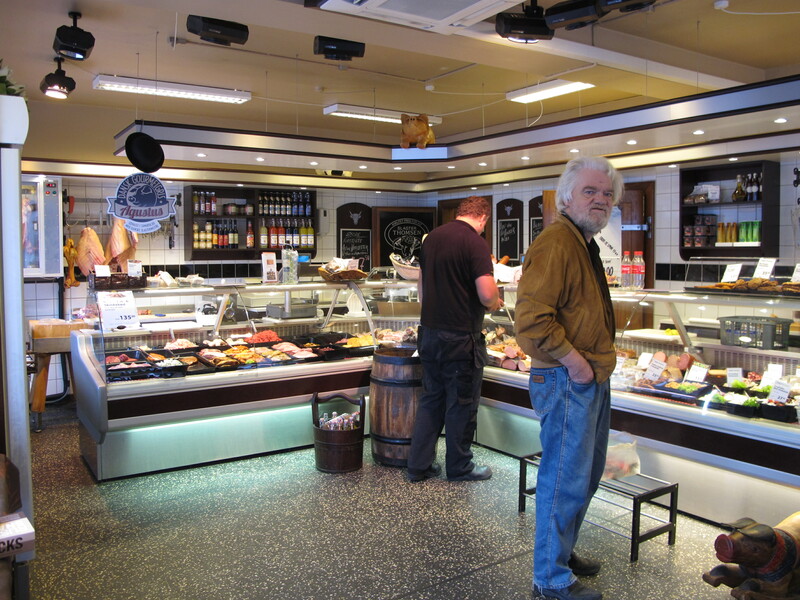 On the edge of town in a quaint brick building stood Slagter Thomsen, a traditional Danish butchery. 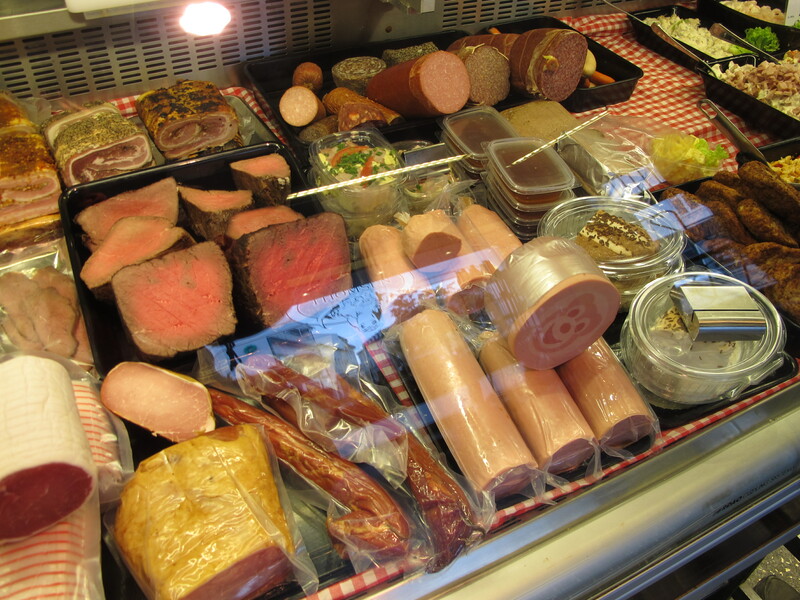 Butcheries or charcuteries in many European countries (France and Germany spring to mind) offer a differing function to what we expect at home. Slagter Thomsen was an excellent example of this. Fresh meat forms a very small part of the offering in the store, cooked meats, meals to be cooked or re-heated at home dominate. The role of the store keeper is far more than meat, it’s the preparation of meat in all its forms. This is what attracts me to ‘charcuterie’. 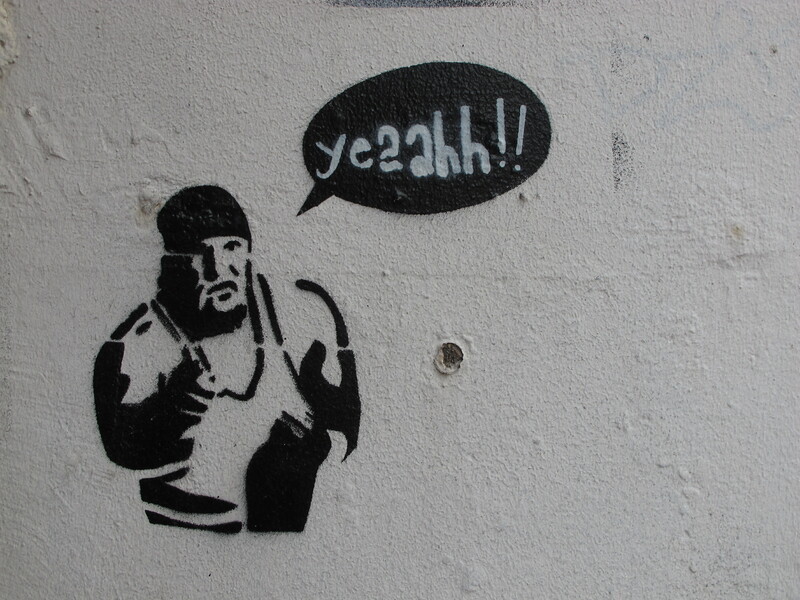 Too often in the UK, when the term is mentioned, people think of air dried meats and salami. To me, it’s about the versatility of someone who can turn meat into a range of different products, and who can also cook those products and serve them to the public. It was an absolute joy to trawl the cabinets in the store, and the staff were utterly patient with me in answering all my questions. Even though it was early, there was a steady stream of customers coming in for their breakfast, or picking up a prepared sandwich or meal for their lunch. Every time I take a trip away I always say to myself, next time I’ll book somewhere with a kitchen. It’s an utter shame that I keep on visiting such excellent purveyors of produce without fully being able to test out their products. With no sign of a pig visit on the horizon I had to have a change of itinerary, so I headed to the nearby port of Korskor. 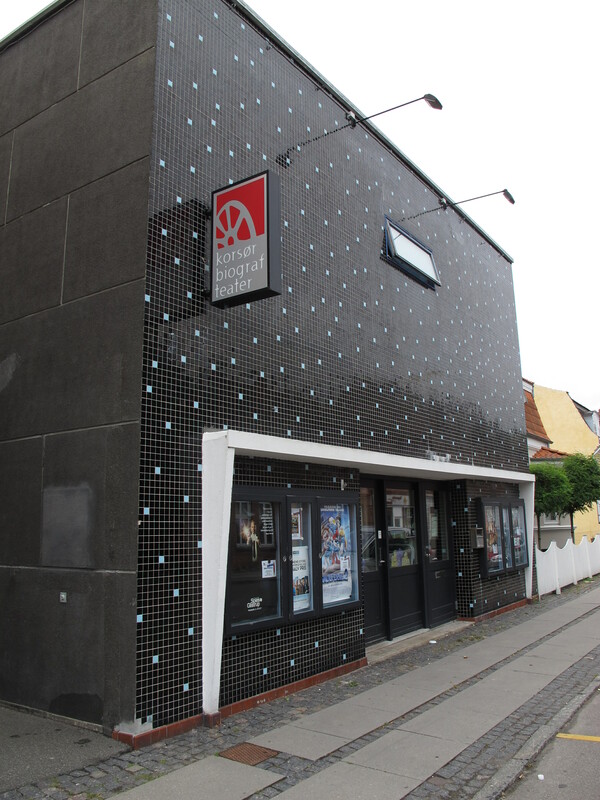 I’d parked next to the cinema, which I later found out is the Oldest Cinema in the World (ok, the building isn’t original but it’s the oldest cinema in the world still operating on the same spot). The lady in the Tourist Information just happened to be the chairperson at the cinema, and she gave me some history. I know it’s not meat, nor food related but as I’m a volunteer projectionist and trustee at Cross Hands Public Hall and Cinema, it was just up my street. Next stop, the harbour at Skaelsor and a recommendation to visit the produce shop at the nearby Castle. I remembered that another participant on the Taste Local Bursary scheme had been to see a small fish producer/smoker in Skaelsor so I headed for the hut on the quayside. He was shut, as was the local museum, the town hall that had a new photographic exhibition on and pretty much anything else I wanted to see (including the produce shop at the Castle). The only thing that seemed to be doing any real business on the main street was what I thought was a high end wine shop. When I entered, I realised it was so much more, it also sold posh chocs, loose teas, fresh coffee, kitchenalia, real ale, an incredible selection of whisky and the aforementioned wine. However, in complete contrast it also seemed to function as an ad hoc betting shop, in the corner was a lotto machine and a screen with the results for the gee gees. 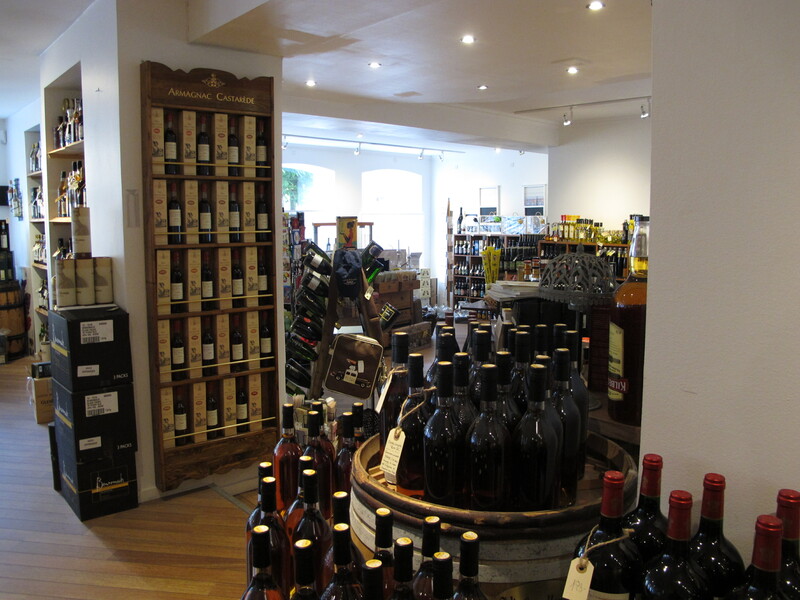 Lovely shop though, and I watched the assistant put a set of exquisite hampers together for one of the customers. The lack of pig visit had truly cocked up my day. The plan for tomorrow should be a visit to a beef farm, but as pigs are my thing, I managed to re-arrange the visit (fingers crossed) for tomorrow morning, leaving the afternoon free to head back to Copenhagen. One slight problem – the beef farm, and my hotel for the night is 60miles to the south of where I’d spent my day. Queue another long drive and an early start tomorrow. That’s the trouble with that AMAZING breakfast – your day just peaked too early.